In today’s article, we are going to cover everything from fishing chips to the London eye and all of the nooks and crannies to be filled for the perfect birthday itinerary the UK’s most popular capital. Pack your bags and don’t forget to pack a three-pronged type G plug or adapter, we’re going to LONDON! Planning and itinerary to London can be just as overwhelming as your first time navigating the “tube” (London’s underground). To make life easier, we have compiled a list of the top sights to see in London during your European vacation. This article will teach you the necessary steps to make you’re to London trip time efficient and strategically planned. Yes, we know it sounds cheesy. But, this is a great option to get oriented in a city as big as London. The great thing about this tour is that it will give you a quick overview of the most famous sites in the site, which will give you some flexibility. Since 4 days in London is barely enough to really scratch the surface of this blockbuster city, you will be able to quickly identify which attractions are at the top of your list and which you are satisfied just seeing from the bus. There are multiple routes you can choose from, but they will take you around all of the same sites. You will get a quick look at famous sites like the House of Parliament, Big Ben, Westminster Abbey, the Horse Guards, and Trafalgar Square. There are multiple providers for a bus tour in London, so your first order of business is to decide which company to choose. There is an original London Bus Tour versus the new competitor, Big Bus. The different options are all the similarly priced and follow the same general routes. The original bus tour is great for those that are not comfortable with English, and would like to listen to the tour in their native language. The Big Bus tour, on the other hand, does not offer as many language options. The next step would be to make your purchase online, as it will save you some time. Both websites can easily be reached, for the Big Bus website and for the original tour. You will be able to pay the tickets here. 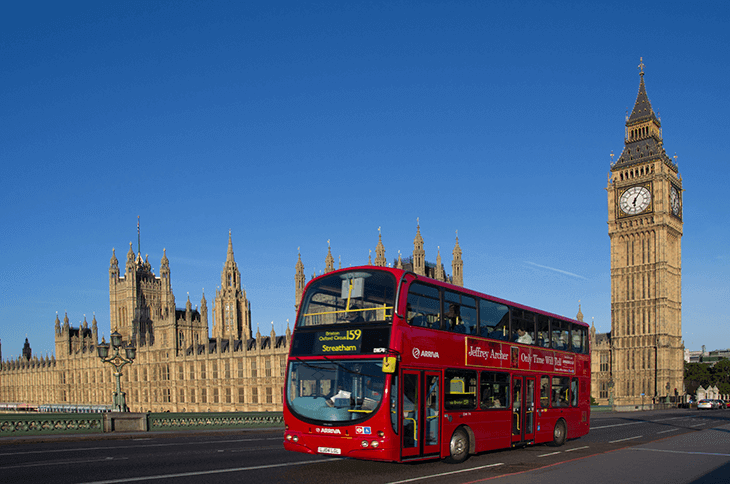 If you aren’t going to be ready to decide until you reach London on which tour you would like to take, you have the option of buying your ticket right on the bus. Either of these are viable options when it comes to booking your London Bus Tour. Now you will need to decide where you want to board the bus and begin your journey. The London bus tours are hop on hop off, which means that you are free to get off the bus and roam around at any of the designated stops. Fortunately, your ticket will be valid for a set amount of time and not for a set amount of stops. You can get off at every single stop the bus makes or stay on and enjoy the ride. A common place to hop on the bus is in Trafalgar Square, and start the route from there. However, it is really up to your personal preference. You can check the routes and decide where you would like to begin the trip on either company’s website. Since taking a bus tour might not appeal to everyone out there, we will offer an alternative suggestion for day one that will cover the same landmarks. You can start your day in Trafalgar Square, but instead of hopping on the bus to see the red line from here you can see the city on foot. 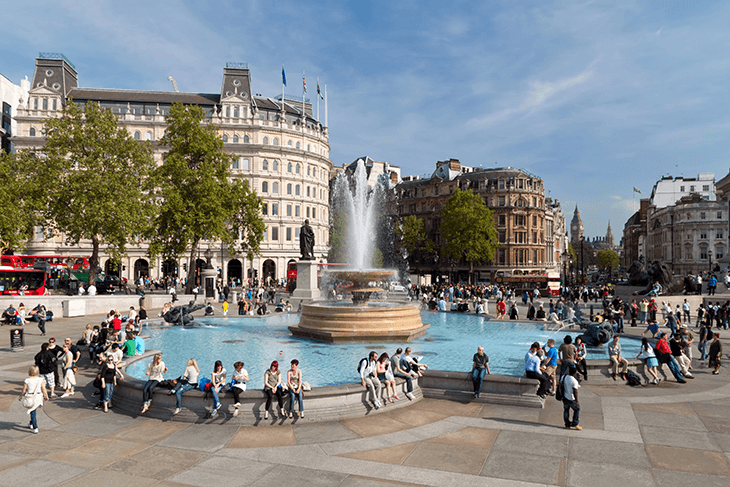 Trafalgar Square is an iconic area in London so allocate a bit of time to stay here. Make sure to check out Nelson’s Column. 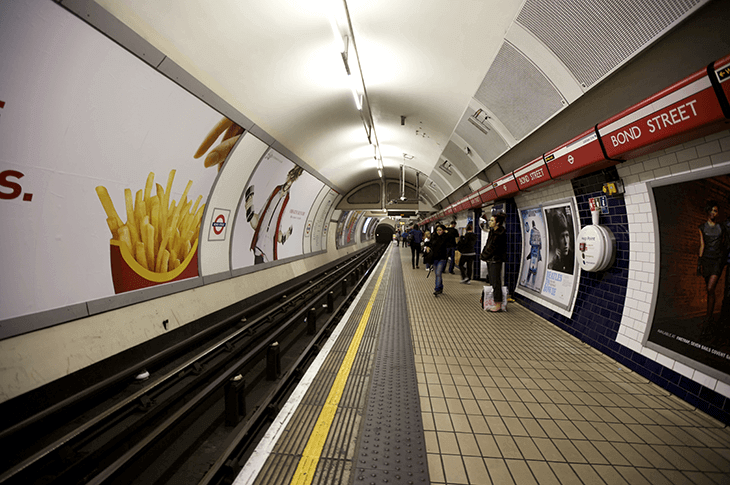 Depending on how adventurous you are, for some daredevils the tube is quite a thrilling option. One of my personal favorite things to do is pick out specific metro spots along the way which are centered in smack dab in the middle of neighborhoods I want to explore. After an hour or two of wandering I hop back on the metro and head to my next destination. Not only do you get to feel like a local but it is the best way to stumble upon the local spots in any given city. To find metro stations around the city, check out the application CityMapper. It is a comprehensive app that will make navigating the metro incredibly simple. One of the coolest facts I learned about London’s taxis is that the interiors are all built in way that men are not required to take off their top hats when riding in the vehicle. Enjoy a personal chauffeur in true English elegance. Taxis in the city are easily recognizable and should be simple to find. 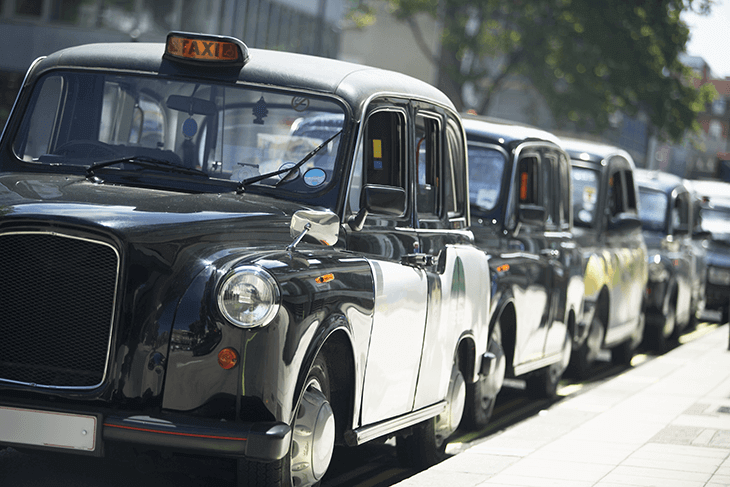 The iconic black London taxis are al over the city so you should not have to wait very long to find one. If you are not interested in looking for a taxi, you have the ability to hire a car before going out as well. You can check online for a reputable car hire company with ease. Do you feel comfortable with the idea of driving on the opposite of the road? Renting a car will not only give you more independence when it comes to mobility within the capital but the freedom to venture outside the city. 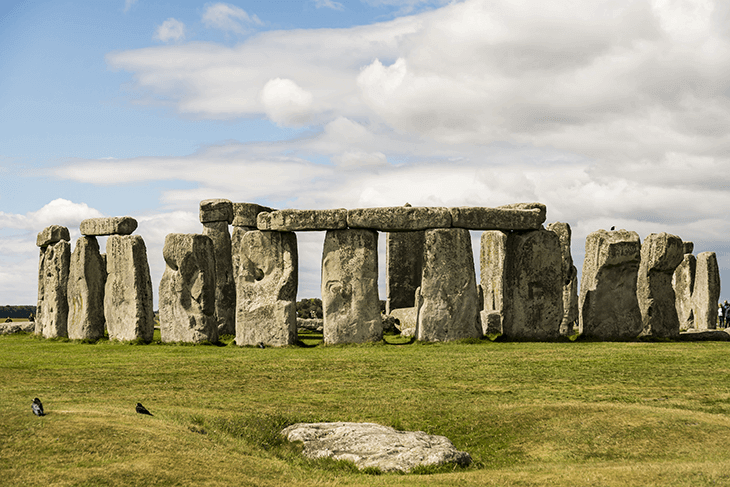 Many visitors have the desire to see the wonder of “Stonehenge”, getting there can be especially difficult and renting a car is the key to a budget friendly and time efficiency. We hope you enjoyed reading our article today and gained a little bit of knowledge on how to navigate London. London is one of the must-see stops for all Europe backpacking routes. It is a big city but there are a multitude of potential transport options. It can be confusing heading to a new city but we are sure you will be able to figure it out. The information provided above is an essential breakdown of the most important transportation options in London. If you are familiar with the options 4 days in London above, you will have no trouble in your travels. If you enjoyed our article or had some interesting information to share with us, please let us know in the comments below. Also, if you enjoyed our article, please share it with others so they can enjoy it too!